February 9 2009 post. One of the crucial myeloma survival pathways is called STAT3. The importance of this protein in myeloma is nothing new…I have already mentioned it here and there (see, e.g., my page on ursolic acid). I have also been collecting data on STAT3 for some time and will soon write a post about it. Just quickly, though, when STAT3 goes bonkers (for reasons that we will see in my future post), myeloma cells are able to survive and proliferate. The same occurs in many other types of cancer: prostate, brain, pancreatic and breast cancers, just to mention a few. Oh, and guess what? This 2006 study tells us that boswellic acid also inhibits osteoclastogenesis, a huge concern for us myeloma folks. (That means that it stops the process of bone destruction.) All excellent news. Let’s get back to the 2009 myeloma-boswellic acid study. As we can read in the abstract, the researchers found that boswellic acid blocked IL-6’s activation of the STAT3 pathway. By inhibiting STAT3, other evil thingies that cause myeloma cells to proliferate and survive were also stopped dead in their tracks, such as cyclin D1, survivin and the Bcl family members (see previous posts). As a result, with all their survival mechanisms cut off, myeloma cells had no choice but to jump off a steep cliff…without a parachute. I had already read good things about boswellic acid, but I hadn’t given it much serious thought because I hadn’t (until now) read any scientific studies on its anti-myeloma effects. An excerpt from the Discussion confirms that this is the first study on AKBA’s anti-myeloma effects: Because STAT3 has been linked with survival, proliferation, chemoresistance, and angiogenesis of tumor cells, its inhibitors have potential for the treatment of cancer. In the present study, we report the identification of a novel inhibitor of STAT3. We found that AKBA inhibited both constitutive and IL-6–induced STAT3 activation in MM cells […].This is the first report to suggest that AKBA can inhibit STAT3 activation. In conclusion, we now have another extremely valid item to add to our ever-increasing and rather impressive collection of anti-myeloma non-toxic substances. I will have to try it! 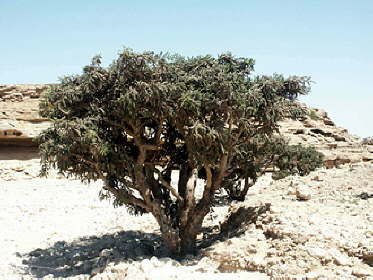 I am researching Boswellic Acids derived from Frankincense resin. Can Boswellic Acids be extracted with hydro-distillation? If so, how hot must it become to do so? Is it even possible since it is a NON-volatile compound, or is a solvent required? If not, how is Boswellic Acid typically extracted from the resin for use in vitamins and such? Which chemicals are typically used? I cannot find any published scientific research. Any information would be greatly appreciated, or if you could point me in the right direction. They tell you not to take anti-inflamatories during chemotherapy, but I’m having muscle pain on toxotere – and tylonal hurts my stomach. Found some boswellia and it helps. But does it count as an anti-inflamatory? My doctor doesn’t know nuthin’. Just tells me not to take any herbal remedies but I take Co Q 10 and vit. d.